Congratulations to our students who have won an opportunity to spend 2 weeks on an exchange program at Saint Louis University in Brussels. 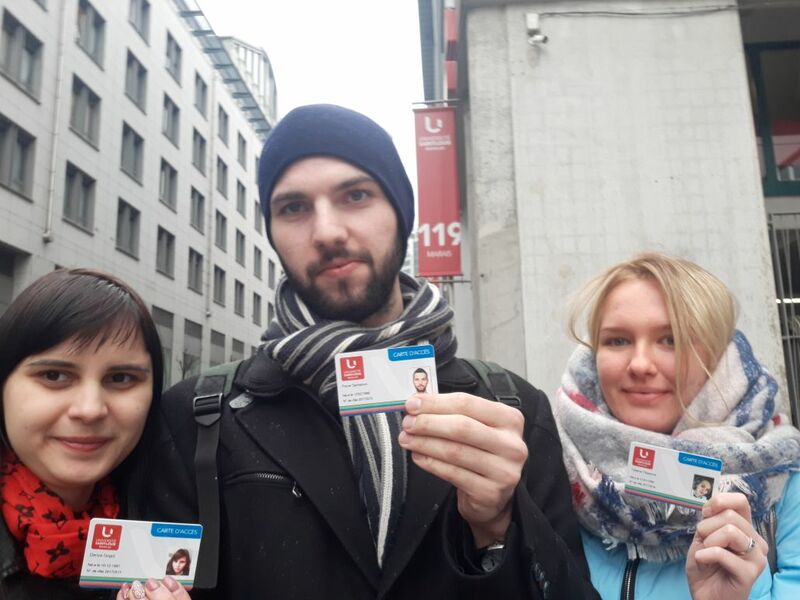 In January, the Romance Philology Department announced a contest on best motivation letter to study in Belgium, and in March the winners set out on a journey to Brussels. Accompanied by Prof. Natalia Kleimenova, the students spent 2 weeks attending such exciting lectures as Comparative Literature, Methods of Analyzing Literary Texts, Romance Philology and others. They also enjoyed a diverse sight-seeing program visiting museums and galleries in Brussels and other Belgium towns. The exchange trip was arranged in terms of the partnership agreement between MCU and Saint Louis University coordinated by Prof. Oksana Dubnyakova.